The ExpressSAS R608 6Gb/s SAS/SATA RAID Adapters add high-performance RAID protection to internally-connected direct attached SAS and SATA storage. Delivering significant advancements in performance and flexibility with enterprise-class features, ExpressSAS 6Gb/s SAS/SATA RAID adapters provide the industry's largest ECC protected cache memory in an affordable RAID solution for general IT and media and entertainment environments. Optional CacheAssure module provides users with data protection against power loss while maintaining high performance. The ExpressSAS R608 RAID adapter provides 6Gb/s SAS/SATA connectivity to Direct Attached Storage via 8 internal ports. With transfer rates of up to 1200MB/s per port, the R608 is well suited for high-bandwidth workflows, such as digital content creation, streaming video and audio, transactional databases, and email and Web servers. The R608 combines advanced engineering and innovative features to ensure smooth data transfers and consistent performance. Leveraging ATTO's market-tested RAID stack and exclusive latency management features, the R608 helps customers create, share and protect data and digital assets more effectively. ATTO ExpressSAS 6Gb/s SAS/SATA RAID HBAs are engineered with distinctive intelligence and core architectural features that makes them the premier choice for transferring data with greater speed and reliability. Whether you need connectivity for direct-attached disk or tape storage, you can trust ATTO's time-tested RAID stack to provide you with high-performance data integrity. Leveraging 18 years of technology development, ATTO Technology family of ExpressSAS 6Gb/s SAS/SATA RAID adapters feature the time-proven ATTO RAID Stack, DVRAID and CacheAssure, proprietary technologies developed to provide the most robust RAID-based connectivity solution in the industry. With several port configuration options including 16 internal, 8 external, 8 internal, and 4 external/4 internal, ExpressSAS 6Gb/s SAS/SATA RAID adapters are ideal for a wide variety of IT and digital media environments requiring high-performance and parity RAID protected data. ExpressSAS RAID adapters offer driver support for WIndows, Linux and MacOS X, providing a single connectivity solution for customers with heterogeneous operating system environments. The ExpressSAS 6Gb/s RAID adapter family allows users to instantly protect their critical data while enhancing performance. ATTO designs ExpressSAS RAID adapters to maintain full performance in degraded mode and to minimize downtime with 50% faster rebuilds, limiting exposure to a second drive failure. Exclusive latency management features like Advanced Data Streaming (ADS) technology and DriveAssure minimize data transfer interruptions to ensure the highest level of consistent performance. These differentiating capabilities make ATTO the premier choice for high-performance host-based RAID connectivity. The easy-to-use ATTO ConfigTool features an intuitive GUI that simplifies RAID group configuration, management and monitoring. ATTO's ExpressSAS RAID adapters offer the most advanced performance tuning capabilities and troubleshooting utilities, providing users with sophisticated diagnostics and flexibility to control settings for specific applications. 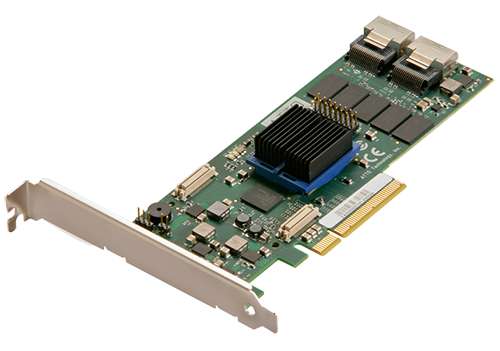 The ExpressSAS RAID adapters add high-performance RAID data protection to direct-attached SAS and SATA JBOD storage. They are an ideal connectivity solution for high-performance media and entertainment and general IT environments. ExpressSAS 6Gb/s SAS/SATA RAID adapters deliver affordable host-level RAID for high-bandwidth workflows such as digital content creation, streaming video, transactional databases, and email and Web servers. Drive assessment and latency management technology that minimizes the linklihood of RAID groups becoming degraded or taken offline due to slow drives, ensuring uninterrupted access to data. Flash-based protection module providing a maintenance-free solution that safeguards against the loss of cached data during a power or system failure. 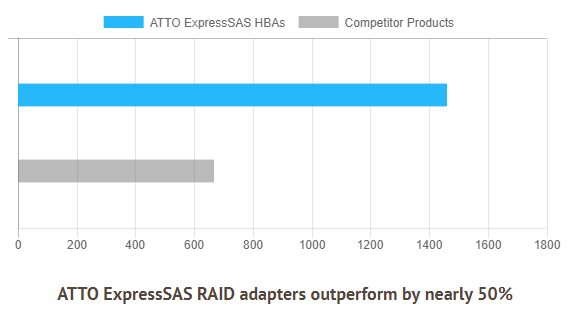 ATTO ExpressSAS RAID HBAs featuring Adaptive Path Optimization, have built-in intelligence to recognize that there are two paths to every drive, and will direct I/O accordingly. If a path to a controller goes down, or is taken off-line for maintenance, I/O will automatically be routed down the remaining path. If the path is restored, the adapter automatically reconfigures to send data down both paths. ATTO automatically senses the paths to the storage, configures primary and secondary access on a disk-by-disk basis and balances I/O so that all paths are running as efficiently as possible. ATTO ExpressSAS RAID HBAs featuring CacheAssure use supercap technology instead of a battery to protect your cached data. Save time and money by eliminating the need to install, monitor, maintain, dispose, and replace batteries, plus with CacheAssure, taking down the system for battery replacement is no longer a requirement. ATTO ExpressSAS RAID HBAs are designed to maintain full performance in degraded mode and to minimize downtime with 50% faster builds. ExpressSAS HBAs combine 6Gb/s SAS speeds and x8 PCI Express 2.0 with powerful hardware and software elements to manage latency in real-time environments. ATTO exclusive Advanced Data Streaming (ADS) and DriveAssure technology minimizes data transfer interruptions while maximizing CPU processes to deliver smooth and reliable data transfers and the highest consistent performance. ATTO ExpressSAS RAID HBAs provide up to 50 percent faster read performance compared to competitive products. Additionally, ExpressSAS RAID HBAs deliver excellent write performance, especially at larger block transfer sizes. It allows users to achieve the highest I/O and data throughput for the complete spectrum of applications, including advanced video, backup and transactional database. Drive assessment and latency management technology is built into ATTO ExpressSAS RAID HBAs. DriveAssure provides bounded latency through proprietary algorithms and user controls to prevent premature drive failures and slow downs, ensuring uninterrupted access to data. Through periodic drive scans, DriveAssure searches for bad sectors or slow spots in your disk drives and repairs them without failing the drive, preventing the loss of critical assets. ATTO’s exclusive Advanced Data Streaming (ADS) is a proprietary technology that is built into ATTO Host Adapters and RAID Storage Controllers, designed to manage latency in high-bandwidth work environments. ADS provides controlled acceleration of data transfers by utilizing a combination of features to move large amounts of data faster and more efficiently, maintaining the highest consistent performance. From high I/O transactional applications to large bandwidth real time streaming, ADS reduces project interruptions by maximizing the number of transactions that can be processed by the CPU, resulting in better overall system performance. 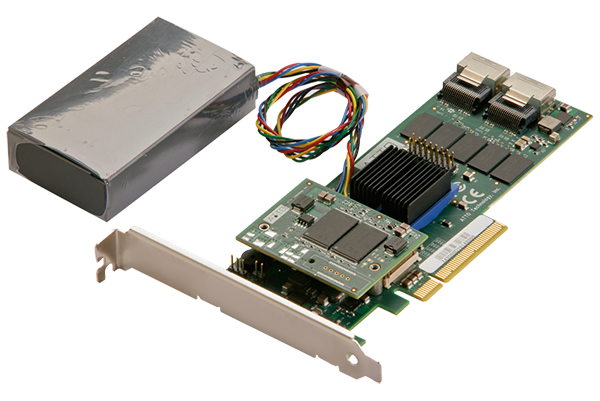 ADS Technology is incorporated into ATTO’s Celerity Fibre Channel Host Adapters, ExpressPCI SCSI Host Adapters, ExpressSAS SAS/SATA Host and RAID Adapters and FastStream RAID Storage Controllers. When reading or writing data to storage or RAID devices, if one or more drives are not performing as expected due to slow spots or bad sectors, drive performance will be compromised. 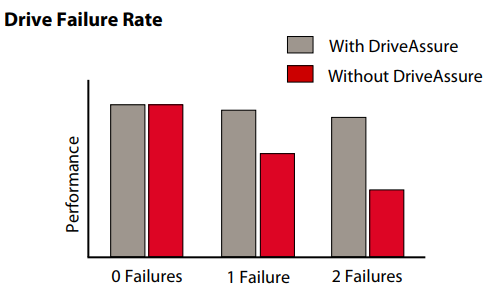 Common errors within drives can cause performance degradation or premature failure of the drives that can result in loss of critical assets. IT managers and financial institutions need assurance that data is securely backed up and RAID groups are online without unnecessarily running in degraded mode. Broadcast providers are highly concerned with data loss which can negatively impact play-to-air environments. Video-on-demand providers need constant (24/7) access to their media. Video Editing customers can’t afford to have projects interrupted because of dropped frames, or data loss due to premature drive failures and the time and expense involved in replacing those drives. DriveAssure is a specialized drive assessment and latency management feature, available on ATTO FastStream RAID Storage Controllers and ExpressSAS RAID Adapters, that provides bounded latency through proprietary algorithms and user controls. 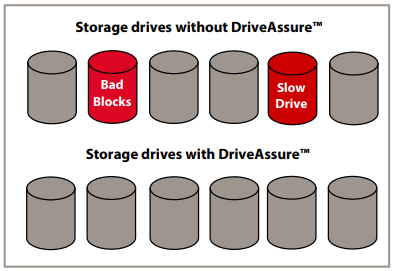 DriveAssure prevents premature drive failures and slow downs to ensure uninterrupted access to data. Proactive Measures: Unlike competitive products that fail a drive after a few unsuccessful retries, DriveAssure initializes (scrubs) and performs periodic drive scans to search for bad sectors and repairs them prior to a catastrophic failure. DriveAssure has built-in intelligence that performs parity verification and regularly monitors drive I/O performance. Corrective Measures: During normal operation proprietary algorithms handle errors on drives due to slow spots or bad sectors. Through active monitoring of drive response times, retries of reads and writes, and alternative methods of data generation, DriveAssure makes certain that data is returned without failing the drive. Enhanced Productivity - Systems run longer, faster and smoother with uninterrupted data transfer. Increased Data Protection - The potential for lost data or dropped frames is significantly minimized. Cost Savings - Unnecessary drive replacements are eliminated, saving time and money on new drives and the labor involved with initializing and rebuilding RAID groups. Faster Reads and Writes - With a lower occurrence of drive failures, bandwidth is directed to where it is needed most - application performance - not RAID group rebuilds and data backups. A system power failure has just occurred and the cached data in the RAID adapter's memory is in danger of being permanently lost. Traditionally, a battery backup unit installed on the adapter provided a means of recovering cached data for up to 72 hours. But, is that the best possible solution? While it's true that the on-board memory is maintained until the power is restored, the battery backup unit is not the ideal solution to this problem. Using battery backup, while oftentimes effective, also has limitations. Batteries are relatively expensive and inconvenient (they must be purchased more frequently and separately from the RAID adapter), they increase costs (inventory, monitoring and replacement), and there is a considerable restriction on how long the cached data is protected. These risks and limitations are enough of a reason to consider alternatives to traditional battery backup processes. CacheAssure Technology is a maintenance-free, NV cache data protection module that safeguards against the loss of cached data during a power or system failure. Available on ATTO's EpxressSAS 6Gb/s RAID adapters and FastStream RAID Storage Controllers, CacheAssure is a more relable data-recovery alternative to battery backup units. CacheAssure is NOT a battery, It is based on capacitor technology that does not require lengthy charge times to start protecting cached data. In the event of a power or system failure, CacheAssure instantly detects the failure and preserves the cached data in nonvolatile memory on the RAID adaper or storage controller, allowing user to maintain their data until power is restored. CacheAssure provides quick and easy access to cached data upon system re-boot by keeping the data in nonvolatile memory until all the drives are ready to accept the transfer and data is verified. Competitive solutions immediately flush the cached data upon system re-boot, risking data loss in the event the drives are offline and not available. ATTO's ExpressSAS 6Gb/s SAS/SATA RAID adapters and FastStream RAID Storage Controllers provide high-performance connectivity for bandwidth-intensive data transfers. CacheAssure Technology is specifically designed for environments that demand the highest levels of consistent I/O performance with the assurance that their critical data won't be lost during a power or system failure. These environments include financial, healthcare, educational, scientific, and other similar institutions. ATTO's RAID products with CacheAssure Technology deliver a long-lasting and reliable cached data protection solution for today's data center. Lifetime Backup - CacheAssure protects cached data for up to 10 years, offering a more substantial return on investment. Typical battery backup units last approximately 1 or 2 years and only provide upwards of 72 hours of data proteciton. Immediate RAID Protection - Maintain productivity levels with immediate response times when there is a power system failure (batteries require up to 8 hours of charging time). This provides ease-of-mind over long holiday weekends or extended periods of facility closure. Zero Maintenance - Monitoring the charge levels of batteries is an ineffective use of resources and the replacement of batteries which age and wear out more rapidly, often requires system downtime. CacheAssure eliminates these concerns. Environmentally-Friendly - CacheAssure is a battery-less technology that is not required to adhere to strict disposal and shipping regulations. This reduces the costs and the negative environmental effects associated with battery use and disposal. Mechanism that increases the probability of fully or partially recovering data that is lost due to a disk failure and offline RAID group. ATTO ExpressSAS RAID HBAs are optimized to ensure that driver resources are located close to the system I/O. In addition, they support NUMA-aware applications and operating systems. NUMA is a system design that allows multiple processors in the same server to efficiently share memory. This reduces latency and increases I/O performance - especially important for data mining, business analytics and other processor-intensive applications. ExpressSAS RAID HBAs offer driver support for Windows, Linux, and Mac OS X, providing a single connectivity solution for customers with heterogeneous operating system environments. This video provides an overview of ATTO Technology's ATTO ExpressSAS RAID Adapters. ATTO ExpressSAS RAID Adapters deliver cost-effective hardware RAID protection to direct attached SAS or SATA JBOD storage. When a system failure occurs, don't let your cached data disappear. Learn how you can keep it stored and secure with ATTO CacheAssure. Learn how you can increase performance, protect your data, and save money and time with ATTO's DriveAssure technology.